The heritage-listed Saumarez Homestead at Armidale has earned another historic milestone that marks its claim to fame as a true tourist icon, the State’s Tourism Minister and Northern Tablelands MP Adam Marshall has announced. Mr Marshall was at the homestead yesterday to congratulate volunteers and staff on their latest achievement – elevation to the coveted Hall of Fame status by the online travel website TripAdvisor. The latest accolade comes after the National Trust property on the outskirts of Armidale ranked in TripAdvisor’s Award of Excellence annual list for the past five years. Mr Marshall said the award achievement would considerably add to the tourist potential of Saumarez – especially on the back of a $2.77 million upgrade project announced only six months ago. “Saumarez is one of our tourist gems and the upgrade project coupled with the latest travel tick of excellence will drive more tourism numbers to this region,” Mr Marshall said. “It will make one of our regional heritage icons a place that’s also significant as a tourist attraction both on a state and national scale, and that’s great news. Saumarez Homestead manager Les Davis says the Hall of Fame status recognises the special achievements of the staff and volunteers in their commitment to customer service and travel experiences for visitors. “We are all excited to have achieved Certificate of Excellence awards for the past five years and to have now qualified for TripAdvisor Hall of Fame status,” Mr Davis said. Mr Marshall said travel reviews were the research foundation for most tourists, and the fact Saumarez had ranked so well so consistently showed it was a quality establishment offering the best of travel experiences. The two-storey, 30 room Edwardian mansion was built from 1888 and opened in 1906. The 10-hectare homestead site that also includes 15 farm buildings and the beautiful gardens that surround it, has belonged to the National Trust since 1984. The modern building project, financed by a $1.77 million grant announced by Mr Marshall and Deputy Premier John Barilaro, in April this year, with $730,000 from Armidale Regional Council and another $200,000 from the National Trust, is underway. It will see 10 heritage style cabins built onsite, which will sleep up to 45 guests behind the existing farm buildings, as well as an additional accommodation space built near the old coach house. Visitors will also be able to enjoy local produce in a newly renovated restaurant, which will be doubled in size to seat over 90 people. Mr Marshall has described it as one of the most exciting tourism projects in the area in years that is expected to attract up to 185 visitors a day to Saumarez Homestead. “It could treble the current yearly visitor numbers from 10,000 to 30,000 people a year because it will offer something truly unique to regional visitors,” Mr Marshall said. 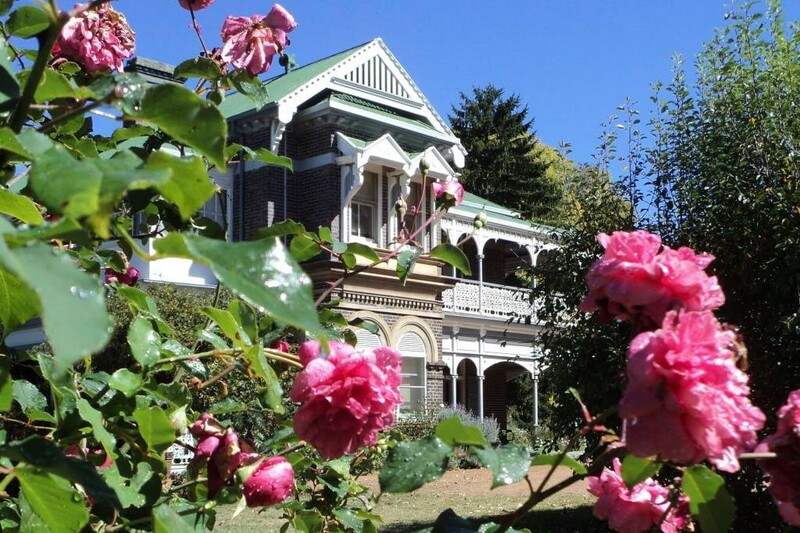 “The expansion of Saumarez Homestead is expected to create 16 new jobs and inject an additional $6.5 million tourist dollars into the Armidale region. Today’s announcement at Saumarez also included an update from the heritage consultants responsible for the new Sustainable Saumarez Homestead Tourism Project that is guiding the upgrade project. The Purcell team is drafting a new conservation management plan for the property that will define all future planning and development. Find out more about Saumarez Homestead and see our TripAdvisor listing.